ProsGreat products as advertised. This bleed kit is a must for the hope brakes. Sent a quick question regarding shipping and had an answer right away. Put in my order and had my bleed kit a couple weeks later. Super easy and look forward to order from sjs again. Thank you for the customer service! Top notch in my books. A must have for Hope Tech brakes. ProsYou can finally bleed your hope brakes correctly. Absolutely brilliant! I cannot believe this is not advertised on the hope website. It is IMPOSSIBLE to bleed their brakes correctly without this bleed kit. All you will get is mushy brakes and brake fluid everywhere. All other brake brands have bleed kits and this one is a must have if you own Hope Tech brakes. Will this fit hope 2007 mono M4? Thank you for your enquiry. Unfortunately this bleed kit is not compatible with your brakes, Hope have confirmed that none of the kits produced are compatible as they are designed for their newer braking systems. Hi, bought Tech 3 kit in error as my lever is a Tech Evo with a V2 caliper and rotor. 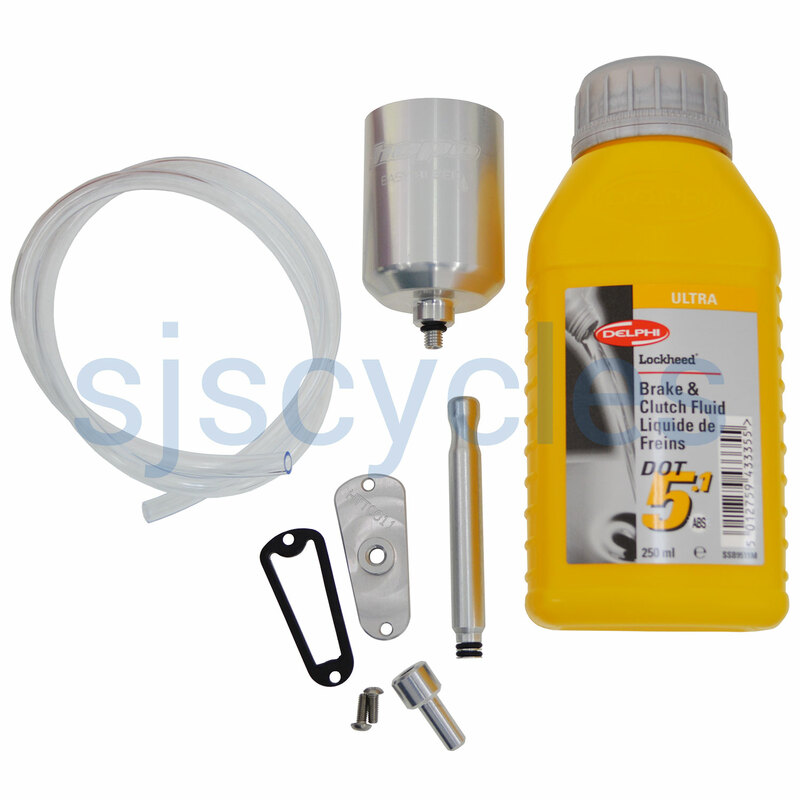 Can you supply top and gasket for a tech Evo fluid chamber. Rest of kit is all compatible. Unfortunately we cannot break up items that we sell im afraid so this would only be available as part of a kit. I have multiple generations of hope brakes can you get other tips? Unfortunately we only have the tips as part of the kits im afraid. Does this kit fit the Hope RX4 shimano brakes? This kit should fit however we have never done this so we cannot say for certain im afraid. Is there a version for the V-twin system? Unfortunately we do not currently have a set that is specific for the V-Twin system. is the kit made of metal or plastic? Is this the kit with the metal comtainer and brake top or is it the kit with the black plastic container and brake cap? These parts are CNC made aluminium.